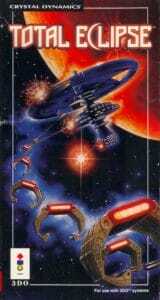 There is some reason to assume that Trieschmann handled the Genesis port, and Scott the SNES game. The raw, powerful industrial metal of Phantom 2040 on the Genesis has plenty of precedents in Trieschmann’s oeuvre (for example Total Eclipse) – but none in Scott’s discography, which before Phantom 2040 mainly focused on handheld platforms. 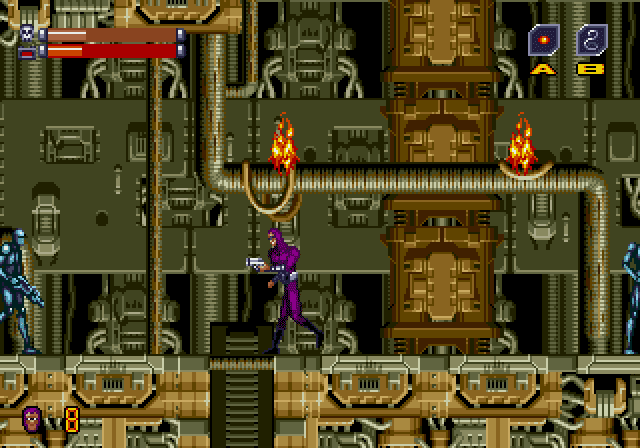 The SNES version is somewhat in line with Scott’s other soundtracks on that console. 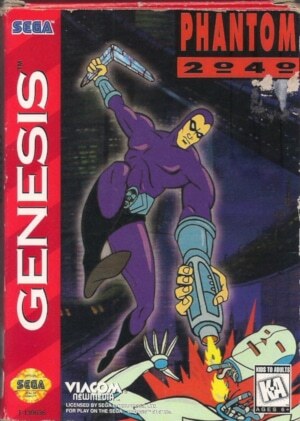 For the purpose of this review, we will assume that Trieschmann handled the Genesis version of the Phantom 2040 soundtrack. And what a soundtrack it is – one of densest, most creative rock scores of the 16-bit era. Trieschmann once more applies what seemed to be his favourite musical template at the time – industrial metal. However, compared to earlier scores like Total Eclipse or Off-World Interceptor, he is happy to experiment more here, moving towards more challenging, less melodic compositions. That might be the result of the larger canvas Trieschmann gets to paint on here – the story of a sci-fi metropolis on the brink of ecological and societal collapse (a story told in fairly substantial detail during the game’s cutscenes). The harsh wall of grinding machine sounds that Trieschmann unleashes on the Phantom 2040 soundtrack is of course entirely appropriate to underscore the futuristic scenario of a dangerous, nearly overwhelming concrete and steel jungle. The mood of Trieschmann’s music – usually somewhere between sombre and maniacally driven, ready to explode at any time – does its bit to potently evoke a dystopian future. Trieschmann cleverly eases listeners into the Phantom 2040 soundtrack though before tightening the screws. “Title Screen” references the character’s roots through what sounds like a grittier version of a TV cartoon series theme song. Its lead melody is appropriately catchy and determined, rendered on the Genesis’ sound chip with just the right amount of abrasiveness so that it fits into the soundtrack’s overall style. Here and elsewhere during the score’s early parts, Trieschmann merges New Jack Swing and industrial rhythms with ease – the former tying in Phantom 2040 with many other game scores of the early 1990s. As a result, “Chapter 1” and “Chapter 2 – Maximum Building” are grooving rather than stomping, working at mid-tempo speeds and happy to have this electro/funk hybrid led by clearly identifiable melodies. But there’s more to the Phantom 2040 soundtrack than smoothly executed 16-bit action scoring conventions – Trieschmann has plans to pull this music into shadowy places few of its contemporaries dared enter. “New Password Get!” announces Trieschmann’s ambitions with syncopated layers of stuttering rhythms and eerie synth glissandi. Its jittery, nervous tension marks “New Password Get!” as a not-so-distant cousin to David Wise’s original Battletoads soundtrack. The main difference between these two scores is that Wise confounded expectations by consciously underplaying the game’s action elements. Trieschmann, on the other hand, defies conventions by taking the opposite approach. He seems willing to go to any length to crank up the tension, pushing the music’s intensity far beyond what the on-screen action demands. “Chapter 2 – Ship Factory” first heralds Trieschmann’s uncompromising approach, now moving away from the New Jack Swing influences and focusing squarely on electronic beats and industrial metal drum patterns. Melodies start to turn into nervy ostinato that don’t provide much in terms of memorable hooks, but instead add more urgency and drive to the already busy compositions. It’s on “Chapter 4 – Biot Factory” that the Phantom 2040 soundtrack reveals its true intentions. Initially more of a mood setter, the cue is more foreboding and menacing than previous tracks – and then Trieschmann goes for broke. Ultra-fast double bass beats mercilessly hammer the music onwards, while a rising, dissonant melody motif poisons the air with dread and claustrophobia, to the point where the tension becomes almost unbearable. From here onwards, Trieschmann writes some of the most challenging, aggressive material penned for a 16-bit score – a compilation of punishing, syncopated industrial rhythms and discordant melodies desperately trying to cut through the churning mayhem. The music grows increasingly chaotic, with the rhythmic structure of “Chapter 4 – Lab” initially almost falling apart. What little melodic material is left becomes more and more fragmented, hardly able to stand its ground on “Chapter 6” against the relentless rhythmic onslaught and barely allowed to complete any kind of melodic progression. When melodies form – like on “Second Boss” – they feel panicked and rushed, nearly tripping over while fleeing from some inescapable menace. Yet despite this flurry of borderline abrasive musical activity, Trieschmann’s compositions maintain their powerful momentum – visceral gut punches rather than cerebral exercises. The fact that Trieschmann handles the Genesis’ sound chip in ways that produce fuzzy, somewhat lo-fi textures and beats actually works in the score’s favour. The result has a grimey grittiness that perfectly underscores the game’s world and narrative – and it contributes to the soundtrack’s suffocatingly effective wall-of-sound approach. There’s no doubt that the Phantom 2040 soundtrack is one exhausting listen. However, it does combine compositional smarts, a willingness to challenge and the ability to pull absolutely no punches like few other game scores.